Simon Cowell’s seemingly endless search for the next X Factor judges and host is starting to feel a lot like the hit reality singing competition in and of itself. One thing we’ve learned from watching the ongoing drama surrounding Simon Cowell‘s search for the season two X Factor judges: We will never take him shopping. If he’s this picky about who to share his panel with, how does he manage even buying socks? Simon famously fired season one judges Nicole Scherzinger and Paula Abdul (not to mention former host Steve Jones), feeling they weren’t the right fit for the show. Now, it seems that every day, an offer has gone out to a new prospective judge. The extensive list has included Janet Jackson (who has officially declined), LeAnn Rimes, Avril Lavigne, the late Whitney Houston and the apparent frontrunner, Britney Spears. Simon is also pretty adamant about handpicking the perfect host. Recently, he presented an offer to Glee star Darren Criss, who politely declined. Yet with all of this news and excitement swirling around the show, absolutely nothing conclusive has been determined. No one has been confirmed, and it doesn’t seem like anyone will be in the very near future. Sure, Brit is probably going to end up a judge, but that leaves two more spaces to fill, which, given Simon’s meticulous decision-making habits, could take a while. Is Simon just super Type A? Or is there something else going on? Let’s not forget the point of the show. The X Factor is a competition in which hopefuls must not only excel vocally, but also in the category of je ne sais quoi. They need an element of uniqueness that is unteachable, which is apparently the secret ingredient to superstardom. As in any competition show, the audience remains captivated until the very last minute, when the winner is chosen. As its millions of viewers can attest to, the concept works well for the show. In fact, it works so well that it seems like Simon has applied X Factor‘s signature principle to his search for new judges and a host. If The X Factor‘s audience will devote so much energy and attention to the success of people they’ve never heard of, wouldn’t they do the same, and then some, for the people they already know and love? The media circus surrounding The X Factor is an echo of the competition reality show itself. Simon is very publicly making it clear that to simply fill the vacant spots on The X Factor is not good enough. The new judges and host must exude the extra quality as much as the contest’s winners, and so are being subject to the same kind of evaluation. And who knows? Maybe, in true reality show fashion, we won’t know who the judges and host are until the very first episode. Whether Simon is doing this intentionally or not is up for debate. 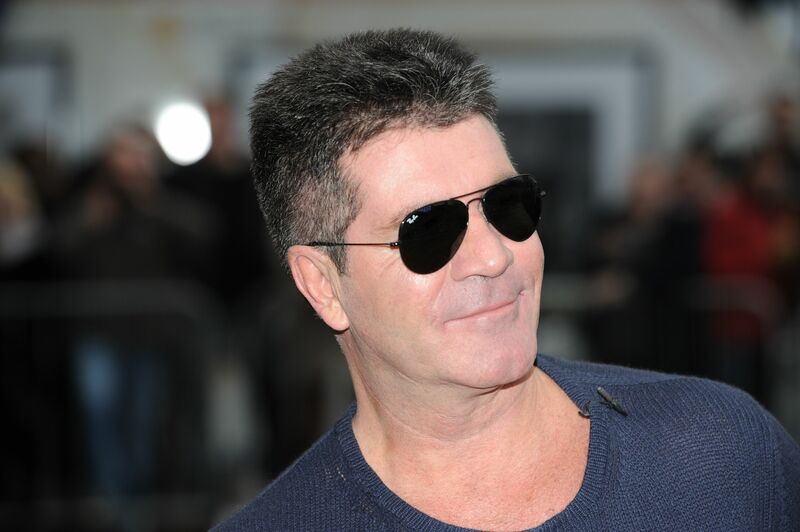 But one thing’s for sure: No one does competition like Simon Cowell.